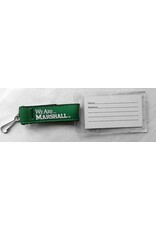 This luggage tag is a nice addition to your collection of Marshall travel accessories. The plastic tag holds a business card. The We Are Marshall ribbon is sewn on to black nylon webbing and is topped off with silver hardware. 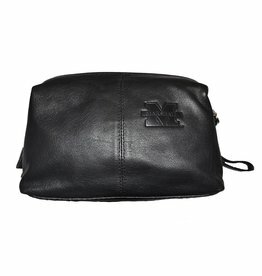 Great for backpacks and computer bags, also!